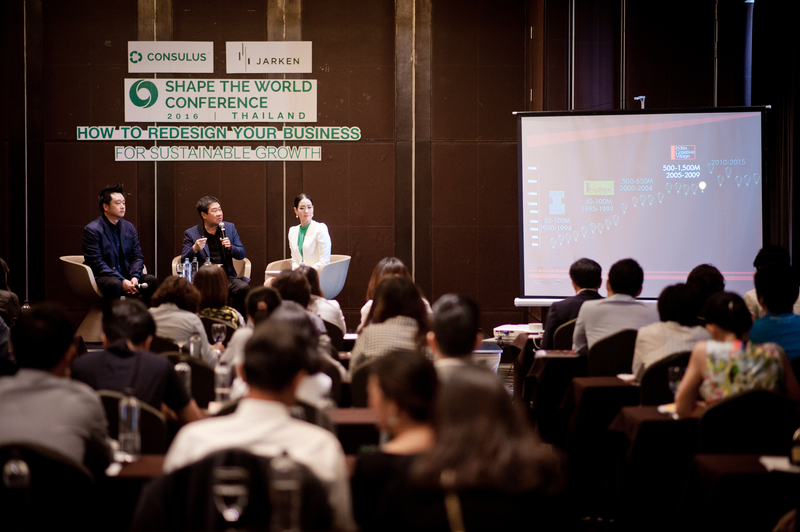 This year’s Shape the World Conference 2016 themed “How to redesign your business for sustainable growth” was successfully organised by Consulus Jarken at S31 Hotel, Sukhumvit, Bangkok yesterday. The conference has attracted the participation of over 100 business leaders in the country and inspired them to think about how they can shape the region’s future by building companies that are drivers of innovation through business design. Mr Lawrence Chong, CEO of Consulus, Mr Kuldej Sinthawanarong, Managing Director of JARKEN Group of Companies together with Mr. Kreingkrai Kanjanapokin, CEO of Index Creative Village, have joined the panel discussion to share on how Thai companies can steer towards an innovative culture and the possible challenges they need to prepare for. “For sustainable growth, Thai SMEs need to recognize that the global economy is transforming quickly towards the 4th industrial revolution of intelligence, smart technology and creativity. 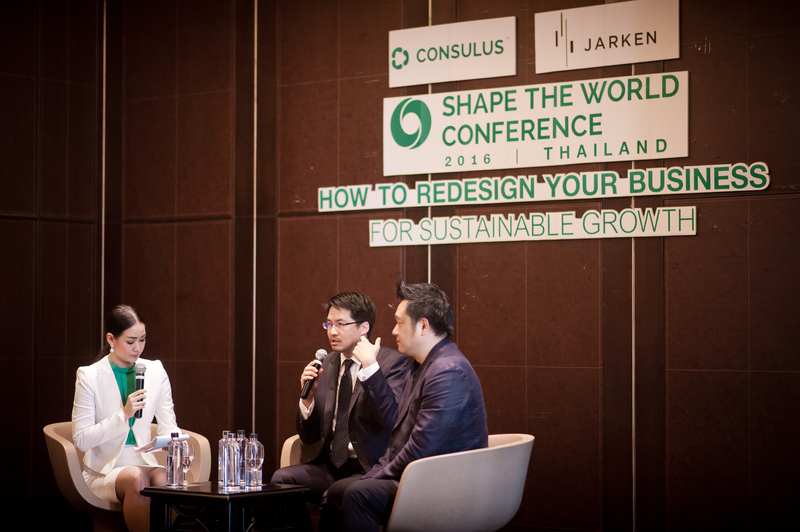 The biggest hurdle facing Thai and all Asian companies is how to transform the organization internally and then the business model to deliver new solutions to survive. This is why it is not about productivity anymore but how a company creates value in a new way. This is what we do in the Consulus Business Design Methodology to help them transform before their businesses become obsolete,” Chong said. 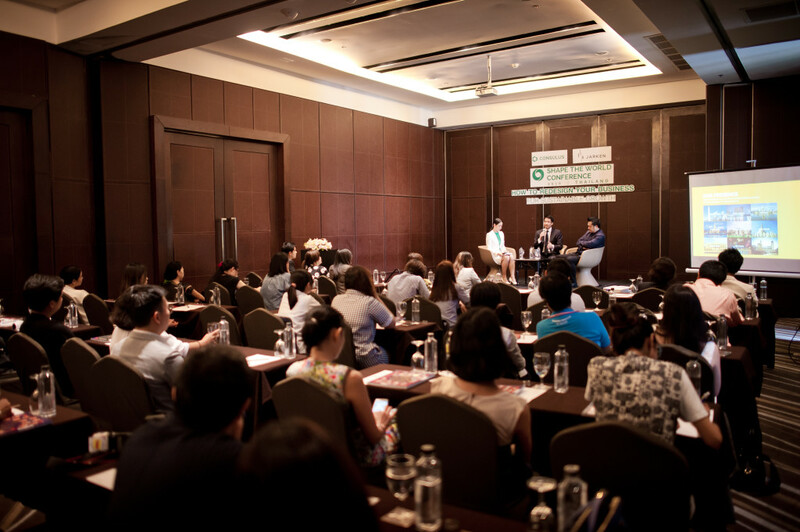 The conference has also garnered positive coverage from major national newspapers including Krungthep Turakit, Thansettakit and Post Today.